These 3 sweet compound butter recipes are great on any roll! Add some spices, maybe an extract, and powdered sugar to make some of the best sweet butter you’ve ever had! 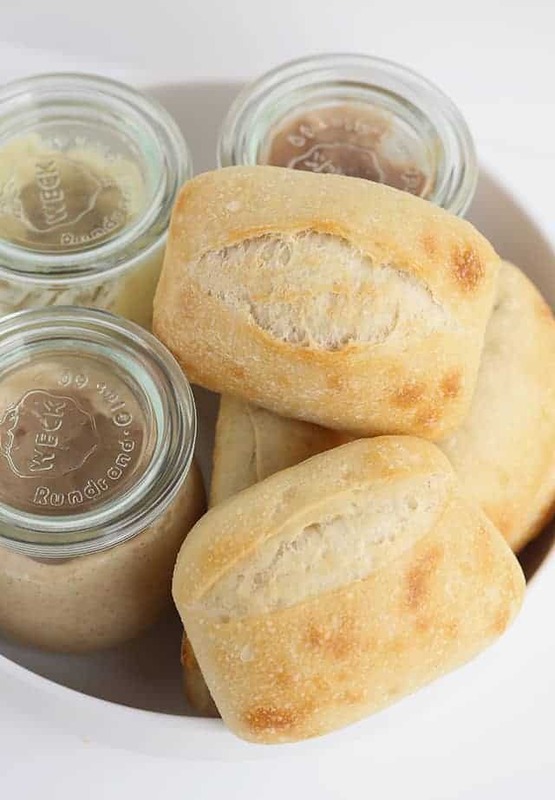 You can add them in cute little jars and they make a cute little display to go with your basket of bread too. Aside from the amazing Christmas music, beautifully decorated storefronts, and Christmas movies galore, this is the busiest time of the year. I don’t know about you, but my calendar is filling up already! I have deadlines, Christmas concerts, bff dates, and dentist appointments. The dentist loves to see me, but what dentist wouldn’t? I’m a dessert blogger. So yeah, I bet your calendar looks similar, right? Well, I’m here for you for those easy sweet recipes including this one for my 3 sweet compound butter recipes. 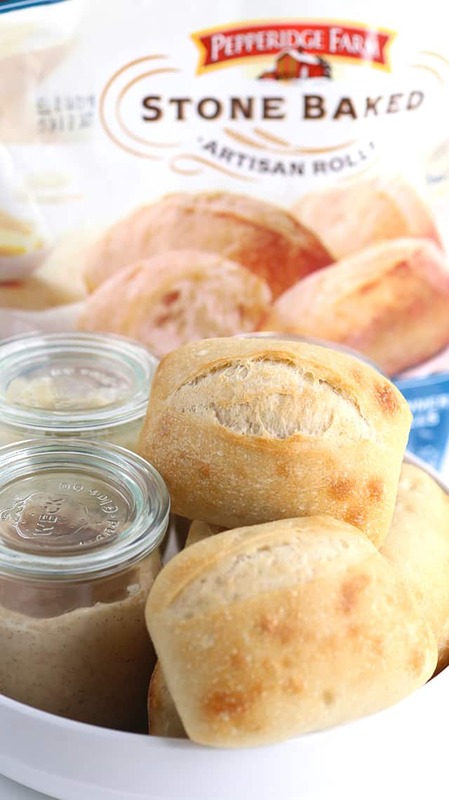 The best part is that you can get some amazing Pepperidge Farm Stone Baked Artisan Rolls in the freezer section and throw them in the oven 9 – 11 minutes to heat them up and you’re ready for your bread and butter. I put together a few of my favorite flavors for these 3 kinds of butter. First up, pumpkin spice compound butter. It’s light in color, speckled with spice, and tastes like pumpkin pie! 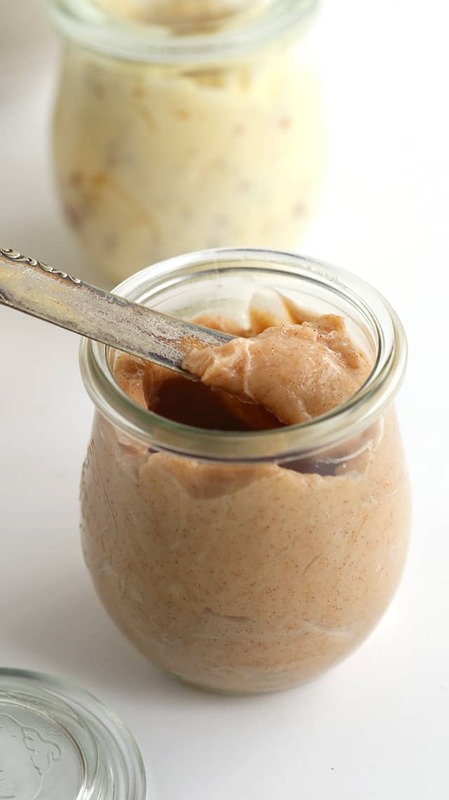 This pumpkin spice compound butter is speckled with pumpkin pie spice! It's slightly sweet and tastes like a slice of pumpkin pie! In a small bowl, add in the butter, pumpkin pie spice, and powdered sugar. Stir with a spatula until combined. Add into a small jar. 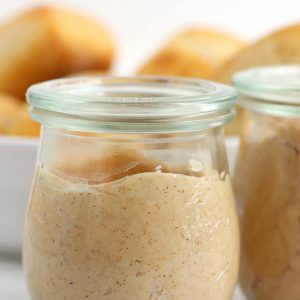 For a spreadable consistency, let it come up to room temperature before using. Next is the Maple Pecan compound butter. It has maple flavoring, powdered sugar and bits of pecans. 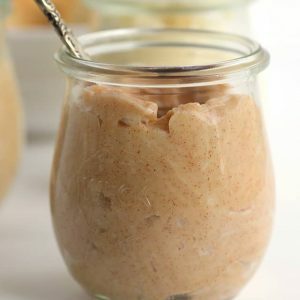 It tastes like a butter version of the maple pecan ice cream. 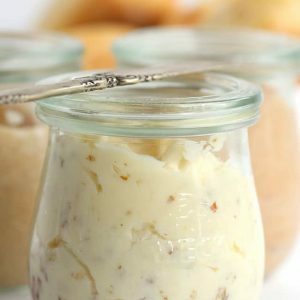 This maple pecan compound butter is full of maple flavor, bits of pecans, and a hint of sweetness! In a small bowl, add in the butter, pecans, maple extract, and powdered sugar. Stir until thoroughly combined. 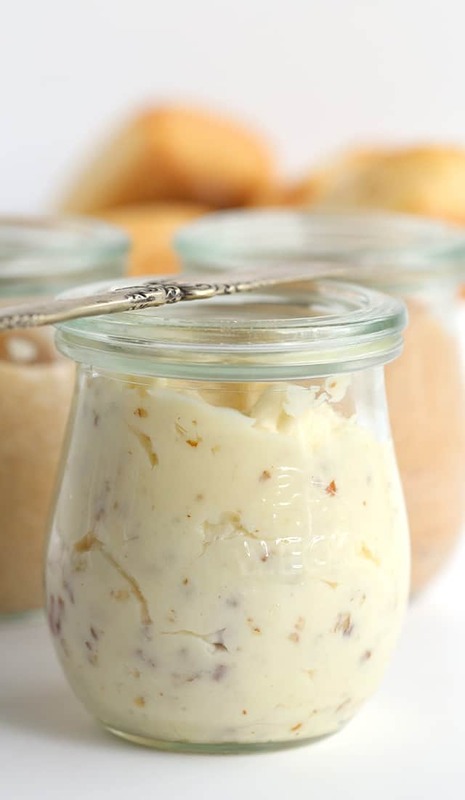 For a spreadable consistency, let the butter come to room temperature before using it. The last one is the cinnamon sugar compound butter. It reminds me of that delicious steakhouse butter that they serve with the rolls. It’s loaded with cinnamon and a hint of sweetness! This cinnamon sugar compound butter reminds me of the steak house butter. 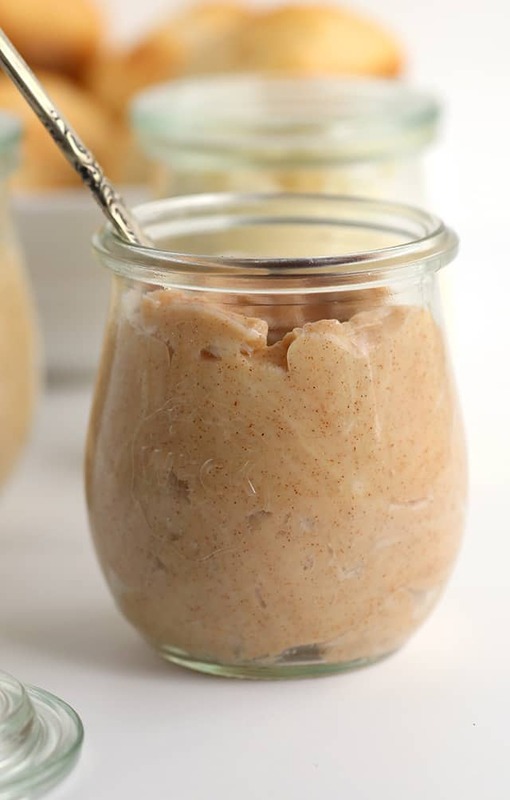 It's sweet, packed full of cinnamon, and down right delicious! In a small bowl, add in the butter, cinnamon and powdered sugar. Stir until incorporated. 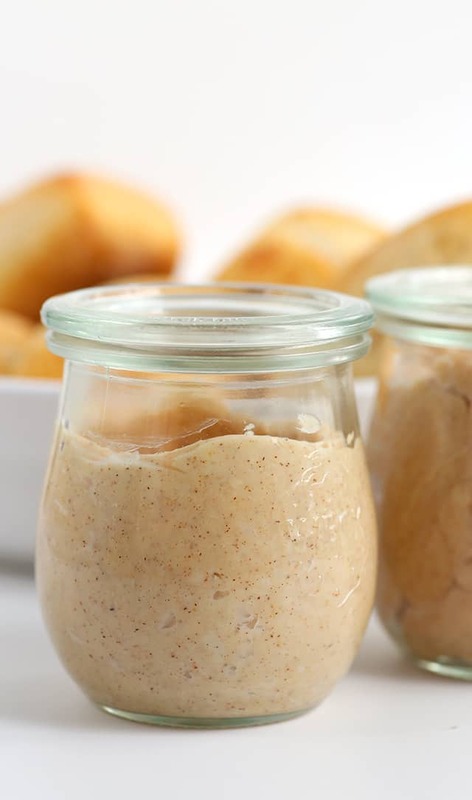 For a spreadable consistency, let the butter come to room temperature before using. I absolutely love that I don’t need to get out the hand mixer! I can use a spatula to incorporate the ingredients into the butter. It’s that easy! You can, however, break out the hand mixer and make the butter into whipped butter.